The Totem Auto Group is proud to have served Northwest British Columbia for over 40 years. We owe our continued success both to our great staff and to our dedication to our customers and community. When you walk into our dealership you will be greeted with a smile and be offered exceptional service. 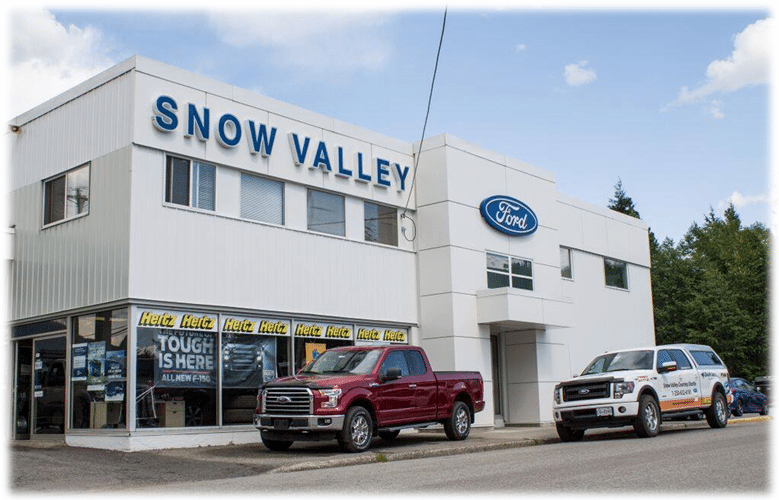 We operate two Ford dealerships in Northwest British Columbia, including Terrace Totem Ford and Snow Valley Ford. This allows us to provide the communities of Terrace, Prince Rupert, and Kitimat with professional sales and service for new and used vehicles. Our commitment to you continues well after the sale is complete, and your total satisfaction is our ultimate goal. Whether you are purchasing a new or pre-owned vehicle, or are bringing your current vehicle in for service or maintenance, we have the factory-trained professionals standing by to satisfy your transportation needs. At the Totem Auto Group our shared purpose is to provide a meaningful experience to both our customers and our team, in such a way that we are proud of the job that we do and fulfilled when we go home to our families at the end of the day. Responsibility, Success, Hard Work, Fulfillment, and Fun! 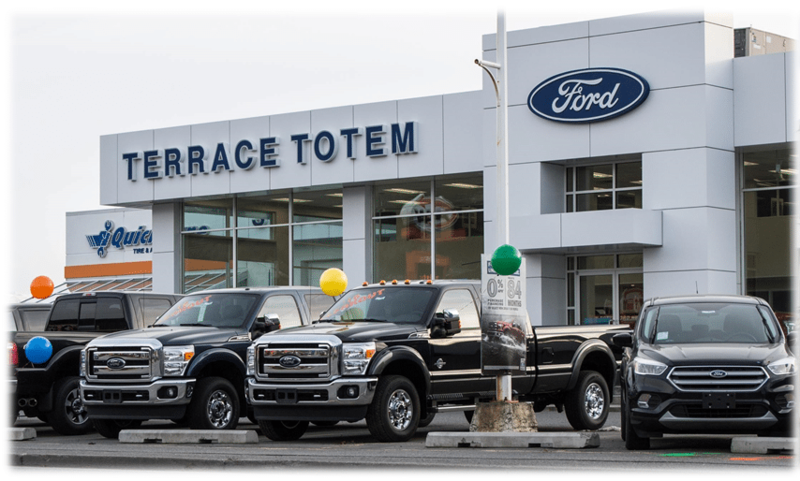 Stop by Terrace Totem Ford and Snow Valley Ford for all your Ford service needs. Questions? Any of our knowledgeable service and sales people can help. Call 855-908-2929. We’re a local company made up of long-time residents and new Northwestern BC’ers, better halves and single parents, parents sending their kids off to college/university and parents trying to pick a name for their new born before a deadline, athletic adventure seekers and creative quilters + crocheters, young people and their sometimes wiser counterparts, and new employees and employees of over 40 years. Sales consultant Dimitri Filtziakis and his spouse Hayley are pleased to announce the name of their newest addition, born June 5. With barely one day before the deadline to choose a name, they've decided upon Cohen Athanasios Filtziakis. Dimitri was born in Terrace to Greek immigrants. As a matter of fact, he was rushed to Terrace Memorial Hospital and was practically born in the hallway! Most of you know Dimitri, the kid from the bench who played a ton of sports, including soccer, basketball, tennis, biking and more. Nowadays, aside from fishing, soccer, hockey, and sledding, he spends a lot of free time camping at places like Redsand Lake, Hart Farm, and Furlong Bay. Once a year, he and his family will do a big trip to places like Salmon Arm and Jasper. He’s been a sales consultant at Terrace Totem Ford for over 10 years. Our owner actually offered Dimitri the job while Dimitri was working at Sight & Sound, programming the owner's remote control! But it’s not the first time Dimitri worked with us. After high school, he washed cars at Terrace Totem Ford for 6 months before he lost his license and got laid off! 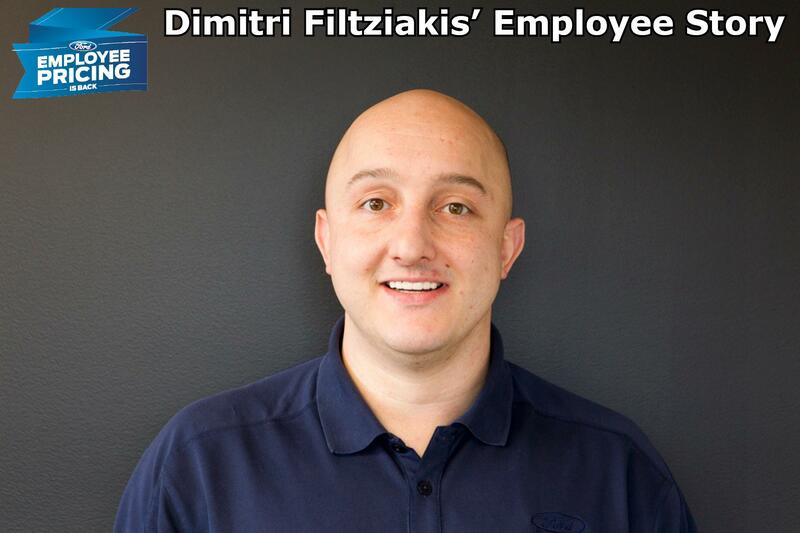 Dimitri is a good guy and a car guy that truly enjoys the fulfilling feeling that comes from selling a customer a vehicle. 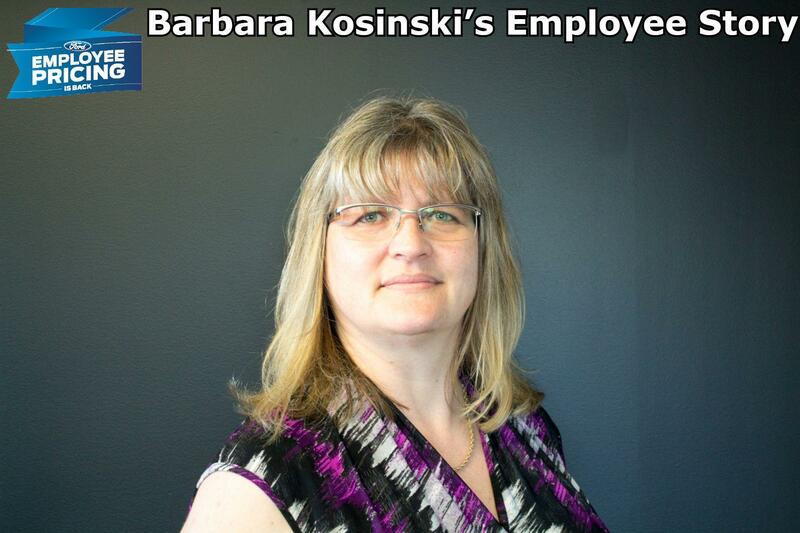 Barbara Kosinski is an LA girl – she was born in Lethbridge, Alberta. But she and her family moved to Calgary when she was one year old. 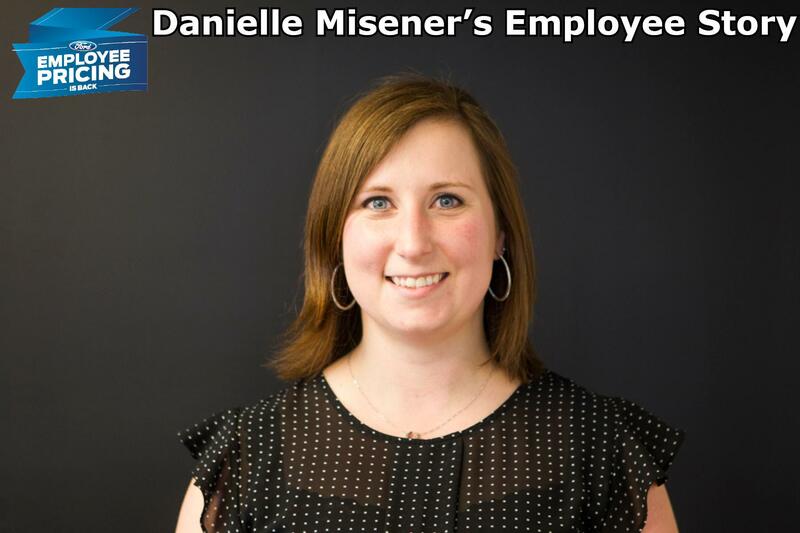 She began her career in Calgary’s auto industry, working at Stampede Pontiac. There, she worked in the parts department in a data processing role, before moving onto warranty submissions, and then onto accounting. In 1993, when her husband received a job offer at Mills Memorial Hospital, she moved to Terrace with him. Before starting at Terrace Totem Ford as an administrative assistant in the accounting department, she worked at K-Mart, the Saan Store and Safeway (who remembers K-Mart and the Saan Store in Terrace?!). In her free time, she is an avid quilter. She loves the process of essentially putting together a jigsaw puzzle. She’s a frequent visitor to local businesses Fabricland and Creative Zone. She likes to plan her quilts one step at a time versus buying all of the materials at once. Her family, including her husband, nieces, and nephews are a lucky bunch because they often receive quilts from her as gifts. She makes them just because at this point, because she says you can “sow troubles down the thread”. See a picture of the quilt she made for her nephew that includes patches called “Kitty Twitter” and “Face Woof” in the comments. She loves living in Terrace and only misses Calgary for its restaurants. But she compensated by becoming a great cook and has cooked meals including butter chicken and Chinese food.